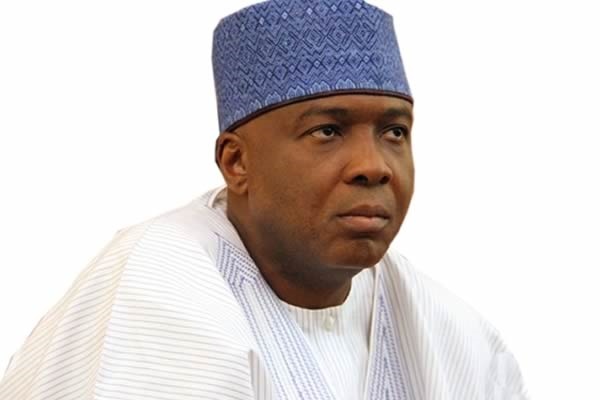 The Senate President, Dr. Bukola Saraki, has expressed hopes that the Northeast Development Commission (Establishment) Act will make anticipated impact in the lives of those resident in the area. Northeast Nigeria has in the past 8 years been devastated by Boko Haram insurgency. President Muhammadu Buhari had earlier signed the bill that will establish the commission saddled with the responsibility of rebuilding ravaged communities. After the enactment of the Act was made public, Senator Saraki applauded the president. He stressed that it was the actualisation of a promise that the Senate had made after some members visited the region in 2015. He wrote: "I remember that on August 3rd, 2015, shortly after the 8th Senate was inaugurated, we visited areas in the North East — including Borno — that were ravaged by the insurgency and made a promise that this Bill would be passed and signed into law. For me, this is a great day. "It is my hope that the North East Development Commission will help to alleviate the suffering of the millions of Nigerians whose lives have been affected in that zone". The signing of the bill was announced on Wednesday by the senior special assistant to President Buhari on National Assembly Matters (Senate), Senator Ita Enang. Giving details of the positions that will exist in the commission, Senator Enang said: "It provides for offices of chairman, managing director, executive director (administration and finance), executive director (humanitarian affairs), executive director (operations) and members representing the northeast zone to be rotated amongst member states of the commission".